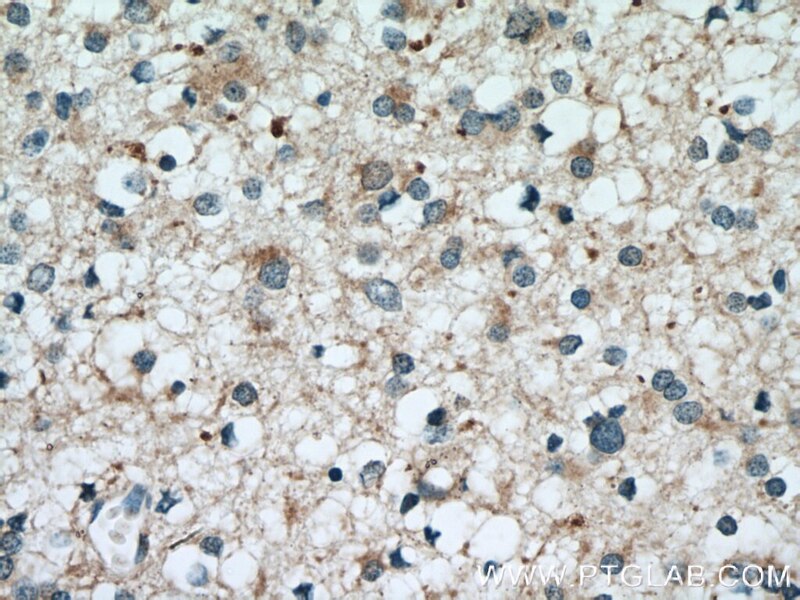 Immunohistochemical analysis of paraffin-embedded human gliomas tissue slide using 12412-1-AP( GSTM1 antibody) at dilution of 1:100 (under 10x lens) heat mediated antigen retrieved with Tris-EDTA buffer(pH9). 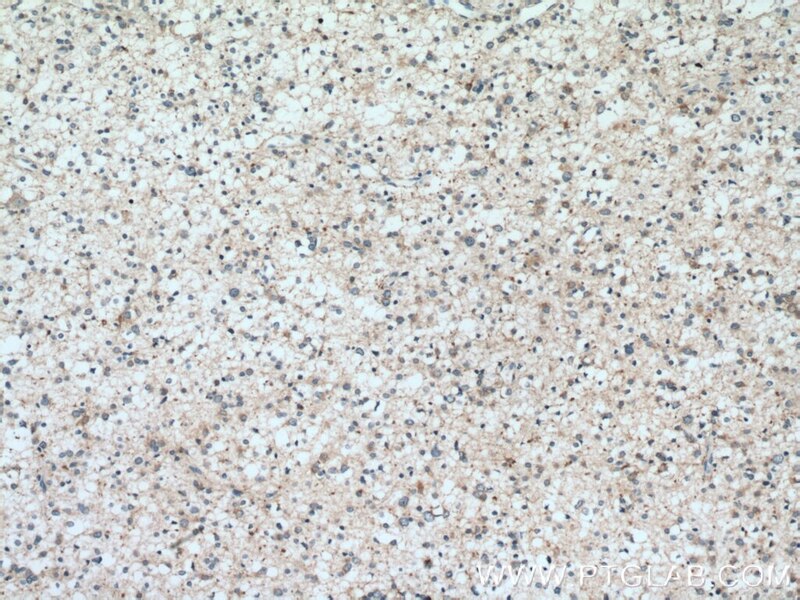 Immunohistochemical analysis of paraffin-embedded human gliomas tissue slide using 12412-1-AP( GSTM1 antibody) at dilution of 1:100 (under 40x lens) heat mediated antigen retrieved with Tris-EDTA buffer(pH9). 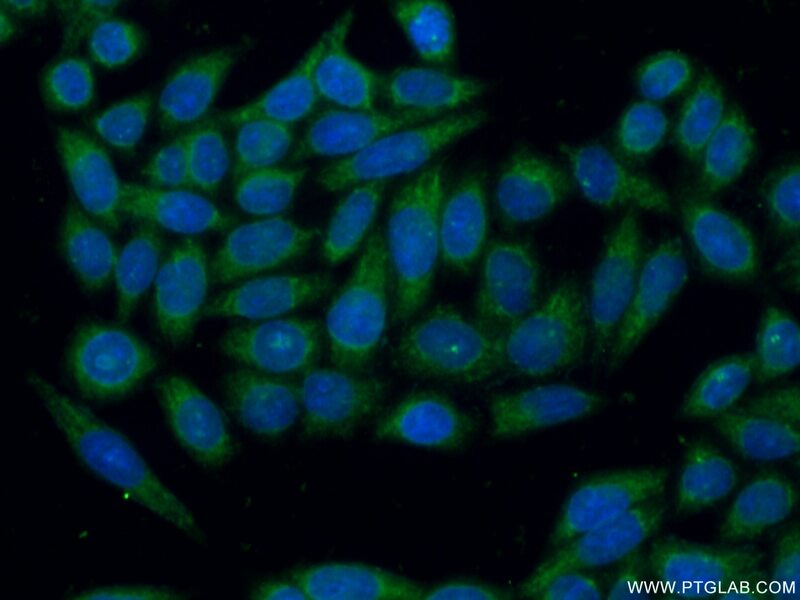 Glutathione-S-transferases and Chemotherapy Resistance of Hodgkin's Lymphoma Cell Lines. A physiological concentration of luteolin induces phase II drug-metabolizing enzymes through the ERK1/2 signaling pathway in HepG2 cells.